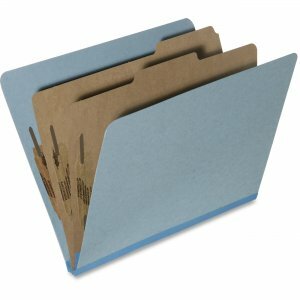 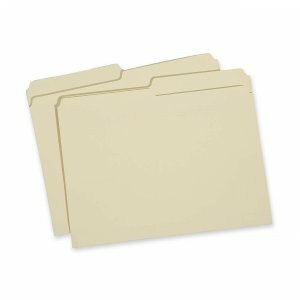 Two-divider, six-part folder is made of heavy-duty 25 point Pressboard. 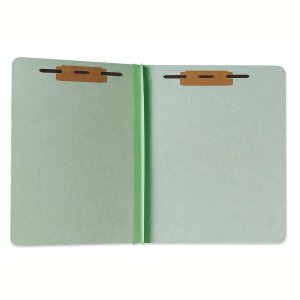 Each divider partition is made of 17 point Kraft and has a 1/3 cut tab. 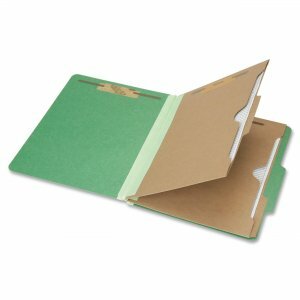 Folder features 1 capacity prongs with no compressors on each of the six sections, and an expandable reinforced Tyvek gusset bottom with a 2" expansion capacity. 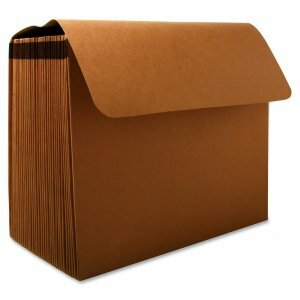 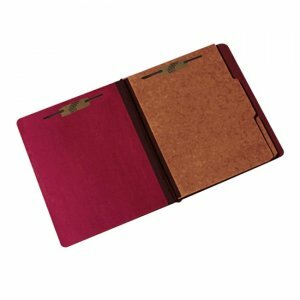 Folder cover and dividers are made with 30 percent post-consumer recycled material and meet Executive Orders 13514 and 13423.